The arrival of socket 2066 and its accompanying Core i7 and Core i5 CPUs bearing the codename "Kaby Lake-X" heralds a new generation in Intel's enthusiast class CPUs and X299 motherboards. These boards offer up to three M.2 slots connected via PCIe to enable compatibility with extremely fast NVMe SSDs as well as many more high-end features. Kaby Lake-X processors additionally offer an unlocked multiplier for overclocking, thereby offering even more gaming power. 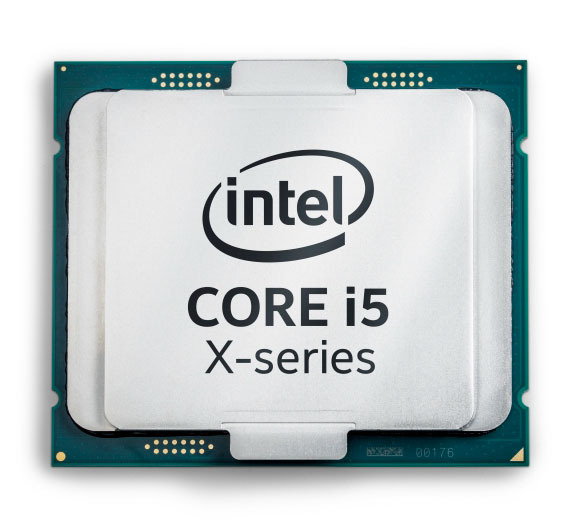 The Intel Core i5-7640X offers an unlocked multiplier and this allows simple and convenient overclocking. Yet even without overclocking the Core i5-7640X comes with a clock frequency of 4,0 GHz, increasing when necessary via Turbo Boost 2.0 to up to 4,2 GHz. The Thermal Design Power (TDP) is 112 Watt. Switching from socket 1151 to the new 2066 socket results in Kaby Lake-X CPUs which are even better suited to overclocking. This is due to the larger contact area of the pins resulting in an optimised supply of power. Consequently it is generally possible to reach stable overclocks at relatively low core voltages. Besides the increased clock frequencies compared to "Kaby Lake" and "Skylake", Kaby Lake-X processors offer Speed Shift 2.0. Speed Shift was introduced alongside Skylake and is a feature that gives the CPU more control over the clock frequency. This allows processors to respond more quickly to performance demands and reduce delays. Speed Shift 1.0 reduced the time needed for the processor to reach its maximum clock frequency from around 100 milliseconds to roughly 30 milliseconds. Speed Shift 2.0 on the other hand halves this time, meaning that the CPU can reach its maximum clock frequency after 10-15 milliseconds after beginning a task. This boxed version of the processor does not include a CPU cooler in the bundle! More links for "Core i5-7640X 4.0GHz (KabyLake X / Basin Falls) Socket LGA2066 Processor - Retail"